Joseph M. Root was born in Cayuga County, New York in 1807, and moved to Ohio in 1829. 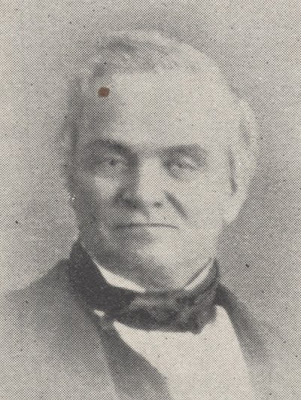 Mr. Root was Sandusky’s Mayor in 1832 and 1833. In 1837 he was the prosecuting attorney of Huron County. Mr. Root was Representative to Congress from Ohio in the 29th, 30th, and 31st U.S. Congresses, and also served as a member of the Ohio State Senate for several terms. In 1835, Joseph M. Root and Mary S. Buckingham were married in Norwalk, Ohio. They had five daughters. 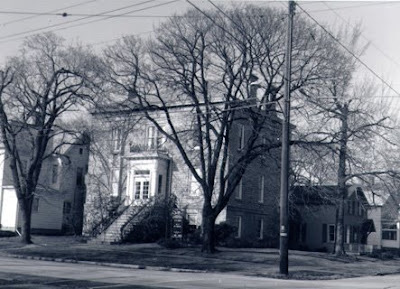 By 1850, the Root family was living in Sandusky, Ohio. Rush Sloane, in an address to the Firelands Historical Society, named J. M. Root among the “early and earnest friends” on the Underground Railroad in the Firelands. In 1848, Joseph M. Root had introduced a resolution to Congress which recommended that New Mexico and California have Territorial governments, but slavery was to be excluded in those new territories. It has long been believed that the Root home at 231 East Adams Street was a “safe house” during the Underground Railroad. The Root home is also listed on the National Register of Historic Places. Mrs. Mary S. Root died in 1876, and Joseph M. Root died in 1879. Both are buried in Oakland Cemetery with several of their daughters. Martha and Sarah Root were in the first graduating class of Sandusky High School. According to the 1914 Fram, Elizabeth B. Root taught in Chicago for forty years, and was considered to be the “Mother of Illinois’ first Teacher’s Pension Law.” You can read a biography and memoir of Joseph M. Root in the 1882 Firelands Pioneer, located in the Archives Research Center of the Sandusky Library. Book Three of Just Like Old Times, by Henry R. Timman also contains an excellent article about J. M. Root.